4 Reasons Why First Aid is Important When Living in Thailand? An accident, injury or medical emergency can occur anywhere. A city like Bangkok sees thousands of injuries a day, from small kitchen accidents to sports injuries to collisions on the road. Serious physical conditions, such as a heart attack or stroke, demand fast action by people who are well informed about what to do and what not to do, regarding each of the health issues involved. First aid allows for an immediate response to an injury or dangerous medical situation. First aid is not meant to be used as a replacement for professional medical care, and in case of emergency it will still be necessary to call an ambulance in Thailand. But the emergency services may take some time to arrive, and in cases both minor and serious, there is often much you can do in the meantime to relieve the victim’s suffering and address the problem or injury. In short, taking a first aid course in Thailand allows you to give comfort to the victim, while preparing them to receive professional attention. Many of us prefer not to think about injuries or serious medical conditions, or feel that we are too busy to take a course in the subject. Sooner or later, however, we all need medical attention – including our loved ones. First aid has saved countless lives over the years, but even when no life is in danger, its techniques have also allowed ordinary people to significantly relieve the suffering of those around them. First aid is also effective in preventing certain medical conditions from deteriorating even further. Victims of a heart attack, stroke or heart abnormality need urgent attention – and a knowledge of the warning signs can save valuable minutes. Studies show that up to 80% of the most common emergencies take place in the home. First aid, therefore, isn’t just something you might use to help strangers; it can be a literal life-saver for those who are closest to you. Living in a new environment abroad comes with its share of challenges. People drive differently (and often on the other side of the road from what we are used to), with motorbikes weaving in and out of traffic. There is less room for bicycles and pedestrians to manoeuvre, and many people are on their phones as they move. Drinking and drugs present other common causes of hospitalisation in Thailand, particularly among young people. Respiratory infections, food poisoning, gallbladder issues and sports injuries can be added to the list of reasons why foreigners of all ages might need to be rushed to hospital. And if the closest hospital is one where a language barrier exists, precious minutes can be lost trying to explain the situation. None of us plan to get sick or injured, but we must nevertheless prepare in advance for the possibility of needing medical attention. First aid – just as with health insurance itself – is something you may not want to have to take advantage of, but when the time comes, you’ll be glad you did. 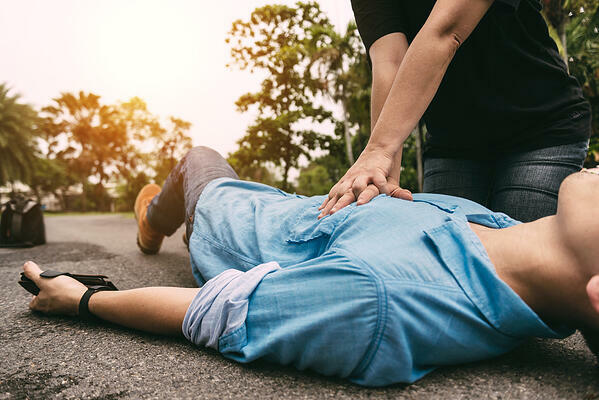 By taking a first aid course in Thailand, you’ll prepare yourself for dozens of potential situations involving an accident or personal injury. But the course should also teach you to consider the surrounding environment when administering aid. If the victim has fallen in the road, they (and you) may still be in danger from passing cars. Moving them safely, or protecting them from traffic, is a skill that an alert first responder will need to use before proceeding to address their injury. 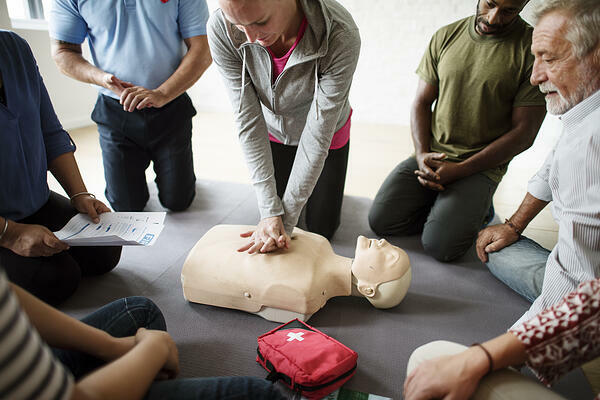 More generally, the lessons learned in a first aid course can give you a deeper understanding of the daily risks we all face – and how to adopt safer habits to mitigate those risks. As a set of skills to improve medical health in a variety of circumstances, a first aid course in Thailand offers the context you need to do a better job of avoiding dangerous situations in the first place. We recommend keeping a first aid kit in your house or car and carrying one with you when you can. Most workplaces will have a first aid kit available, so make sure you are aware of it's location should you need to access it. Make sure your first aid kit is well equipped. If you don't want to buy a first aid kit, you can put one together yourself. We recommend that it includes all if your personal medicine and emergency numbers in case of emergency. Keeping your first aid kit up-to-date by checking the expirations dates and replacing any items you have already used. First aid has its limits, and can only represent part of a responsible approach to health. Prevention is always the best strategy, and a good diet, regular exercise, adequate sleep, and a safe lifestyle can make your life much smoother and more comfortable in terms of overall health. When medical attention is needed, first aid can expedite the process and treat some of the most obvious symptoms. Comprehensive medical insurance can then facilitate quality medical care at the hospital, allowing each patient to receive attention from the very best doctors in the country. With each of these factors in place, you and your loved ones will have the best chance to enjoy comfortable lives for a long time to come. First aid is a life skill EVERYONE should have.